This full-size French J.B. Vuillaume copy is dated circa 1860. It boasts an incredibly sweet, rich tone. 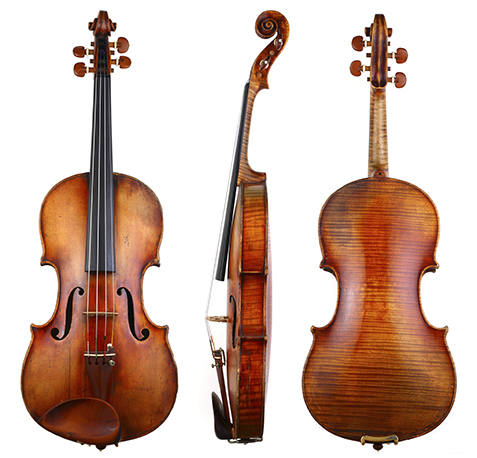 At an affordable price, this instrument may as well be a Vuillaume original. With remarkable clarity and playability, this instrument is perfect for any serious student who loves a romantic, complex sound. 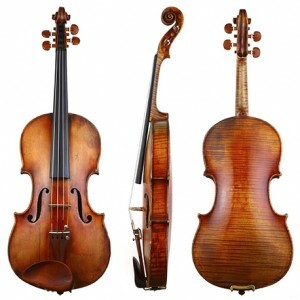 The violin has a delicate body, with a rich red amber color over a gold ground. With its age it now has a lovely, natural patina. This instrument is pleasing to the eye and ear.